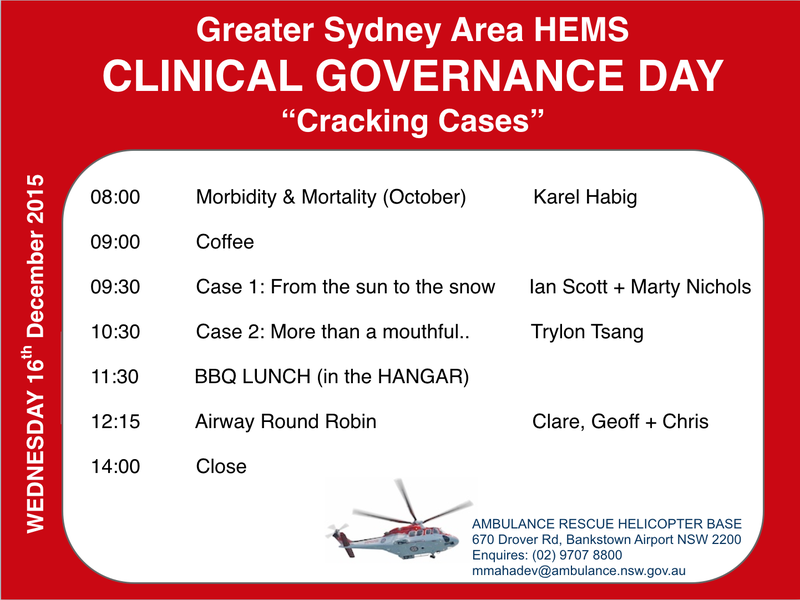 The Sydney HEMS Clinical Governance Day is returning after a month long hiatus and is scheduled for next Wednesday, December 16th at Bankstown. For this weeks CGD we have two cracking case dissections to discuss as well as the October Morbidity and Mortality. The afternoon session will centre around an ‘airway round robin’ complete with simulation, blind-intubation team races and challenging airway case discussions. This entry was posted in training and tagged airway, CGD, M&M, training. Bookmark the permalink. Sorry I’ll be missing it.